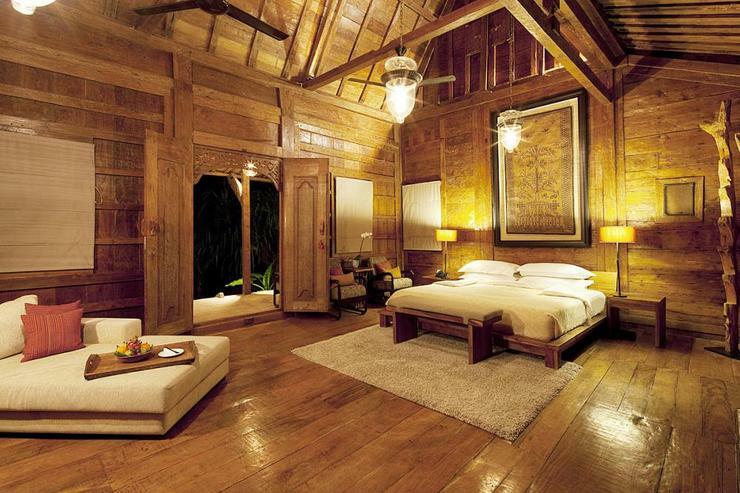 I was so surprised by the elegance and beauty of the old teak wood villa, combined with the full comfort of a 21st century home. 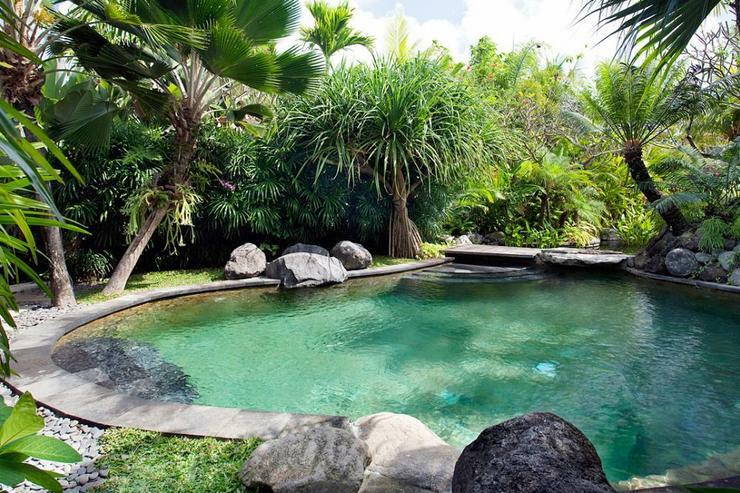 The photos did not reflect the charm of the villa and of the tropical garden. The service was impeccable as well as the gentleness of the staff. Just returned from the Dea. Excellent service, delicious food, beautiful views, relaxing atmosphere...really can't ask for more. My wife loved the Spa message, and my son enjoyed swimming and diving into the pool so much!. The food in Dea is actually better than many outside restaurants. Thank you adhee and all the staff members in Dea! 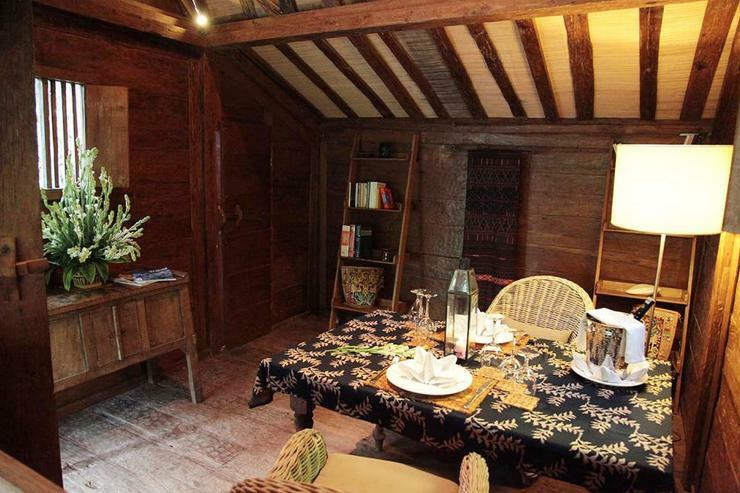 I didnt want to stay in a standard villa as so many are in bali, no soul, all the same, major complex, or so large it wasn't suitable for 1 person. This villa was perfect in every way. 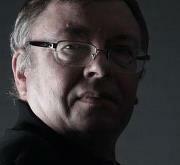 From the moment you arrive the staff are friendly, available, but not intrusive. 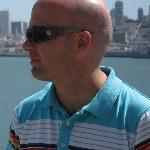 great sense of humour and happy to chat, as I was on my own, but also smart enough to know when to leave me alone. incredibly helpful. The vila itself is hard to describe. 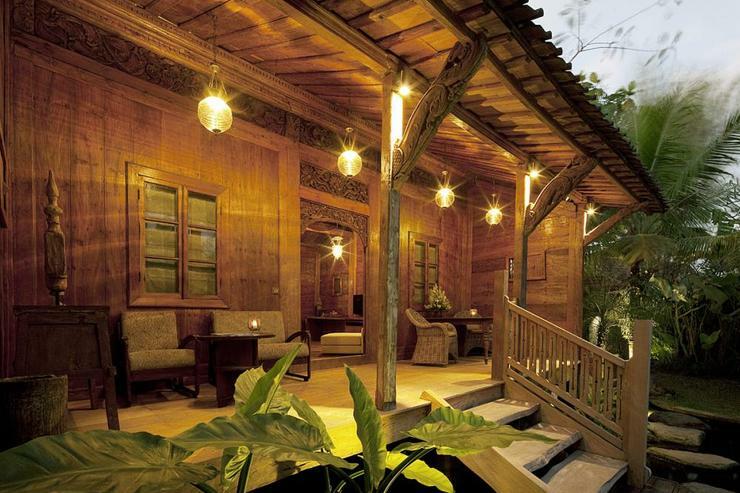 the traditional Joglo is beautifully appointed, with the most amazing bathroom attached to the back. The Joglos is beautifully decorated with a lot of thought and soul. 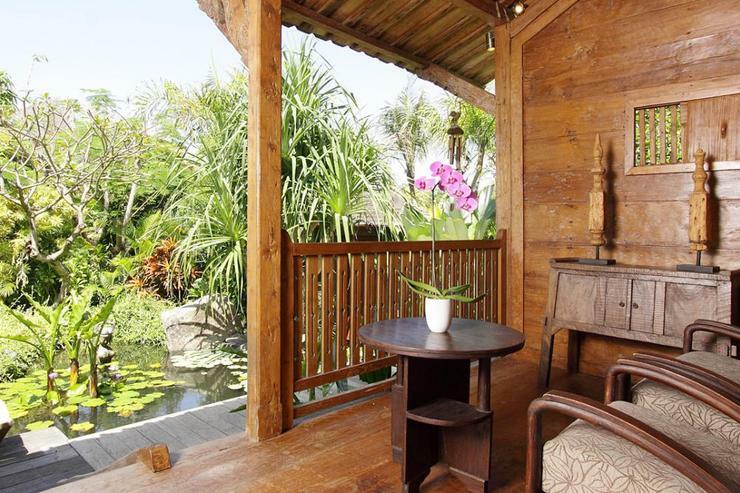 The joglo itself is set in a large Koi pond, floating, with stepping stones and boardwalks taking you for a joyous adventure walking around the substantial garden for a 1 bedroom vila. 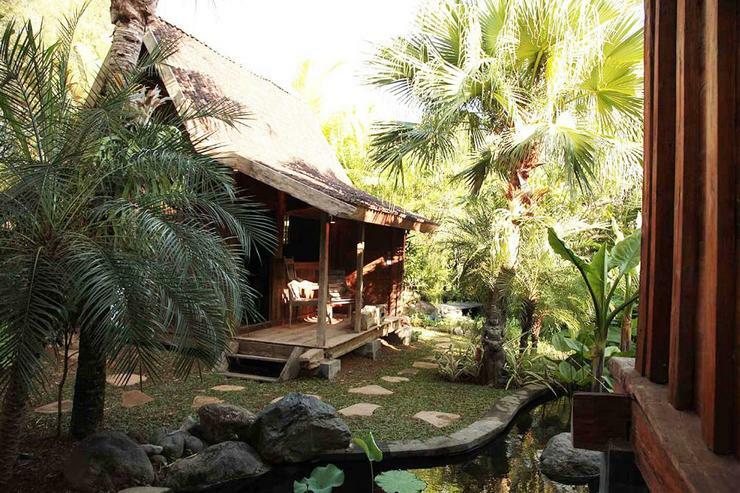 Set on beautiful grounds of Koi ponds, trickling ponds, paths meandering between a smaller Joglo used as a reading room, or for having dinners in, you can sit there and admire the stunning garden. 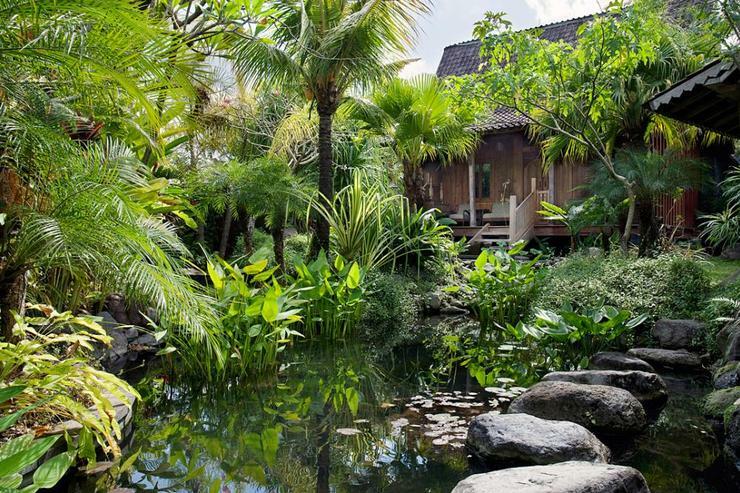 Meandering further through the garden, over stepping stones in the pond, you are greeted by an oasis of a private swimming pool at the end of the most stunning garden, with beautiful flowers, butterflies and birds.. it was a paradise to stay in for 4 days in every way. I cannot do this place justice. Even though there are villa's on either side, again they are tastefully done with meandering stepping stones over waterways, enchanted walkways between each villa, so you dont hear no realise they are even there. There is also a fantastic gym again built in in a free standing buidling surrounded by water..and a superb gym, all overlooking rice paddies. 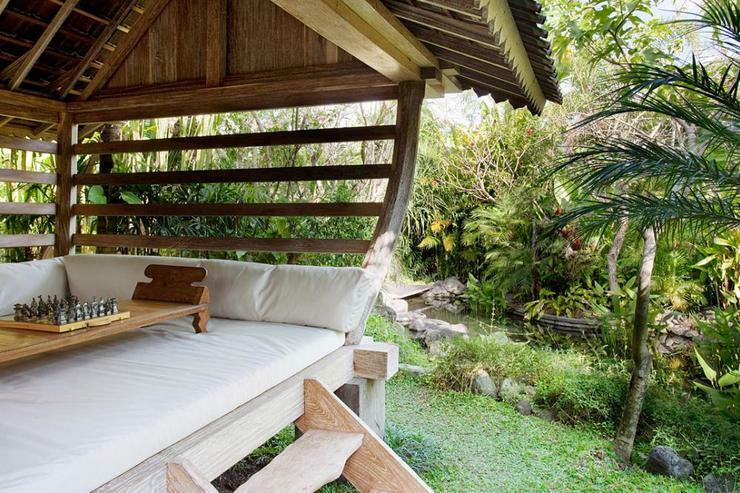 I was so content in this place I left for 2 small walks but was back so quickly as I was happier in my little paradise..
Radha villa is part of the Dea Villas complex, which is located on a quiet side road in Berawa close to Canggu. 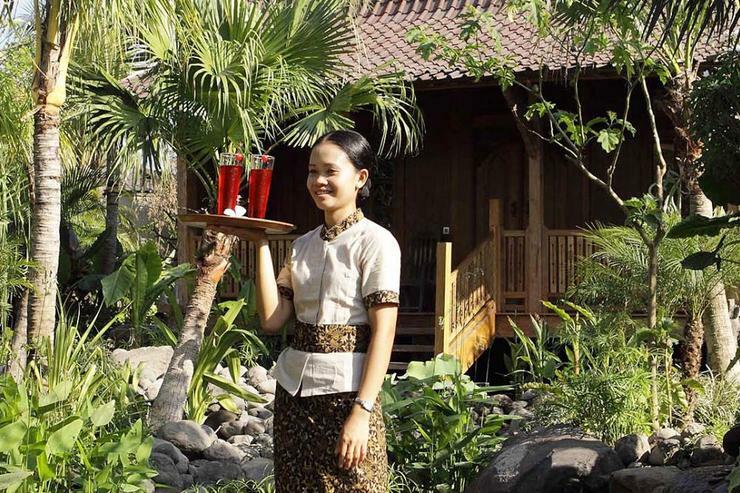 Dotted with rice fields and enjoying an idyllic rural setting, the villa is perfect for those who wish to rejuvenate in the lap of nature. Should the bright lights call, the chic stores, restaurants and bars of cosmopolitan Seminyak are just a short driving distance away. 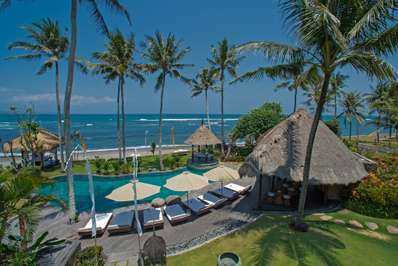 The Berawa Beach is less than a kilometre away, as is the Canggu Club where the villa guests can enjoy complimentary membership during their stay. The entrance of the century-old Radha villa opens to an enchanting garden and a lily pond with river rocks forming steps that lead to the house. There is another entrance for those who wish to step directly into the property. 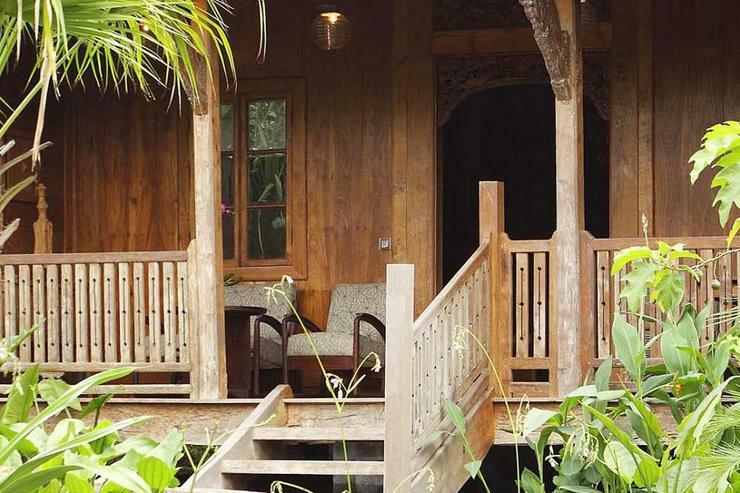 Inside, is a beautifully proportioned bedroom complete with sitting area and a small kitchenette that opens onto a tropical garden bathroom. 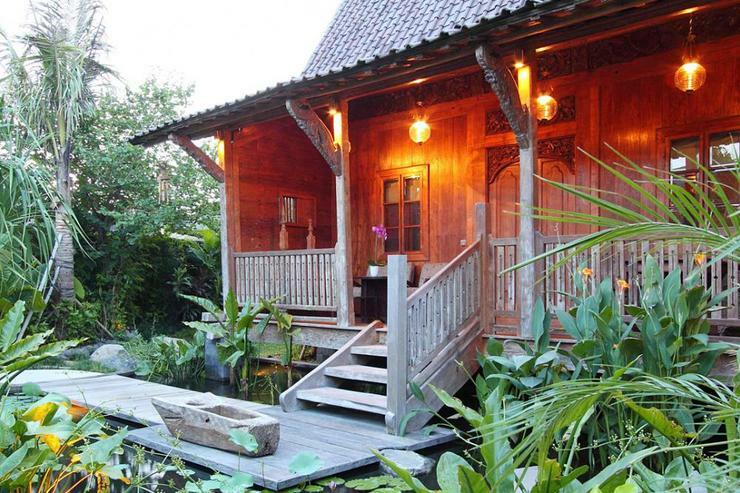 Across the pond is a much smaller house (gladak) which serves as a reading or breakfast room, while across the swimming pool is a comfortably furnished relaxation bale. The bedroom of Villa Radha is a haven of peace and privacy. The room has a regal king-size bed and a beautiful collection of chairs. Contrasting with the building’s 100-year history and eclectic furnishings and artefacts are all 21st century comforts - an upholstered daybed, a 47-inch TV with satellite channels and DVD player, an iPod dock and air-conditioning. 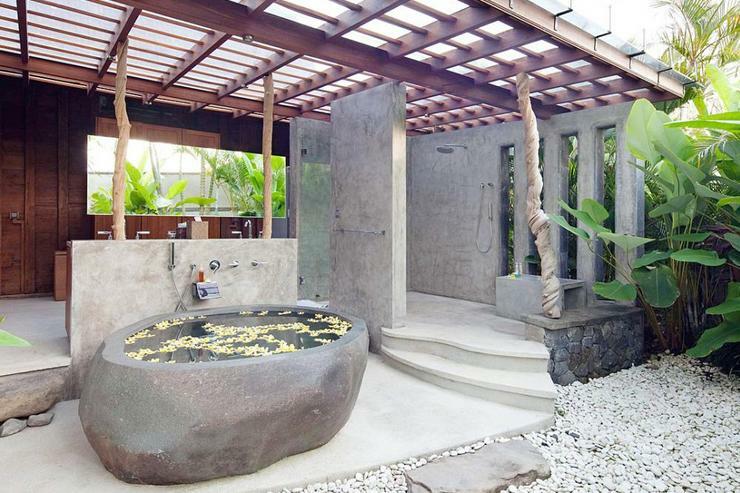 A few steps lead down from the bedroom to an indoor-outdoor bathroom with a dressing area, a vanity with twin basins, a walk-in rain shower and a magnificent two-person alfresco bathtub carved out of a single piece of river rock. 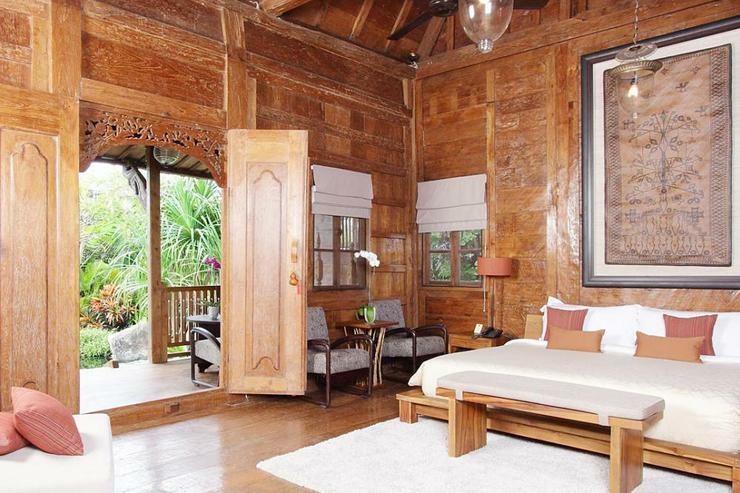 The living area of Villa Radha comprises an air-conditioned sitting and TV area within the bedroom. The guests also have the choice of enjoying breezy alfresco living in the large veranda, which is fitted with old planters chairs for reclining at sunset. The smaller gladak with its hatch opening onto a mini veranda offers an intimate space for relaxing and is furnished with a small table for three. 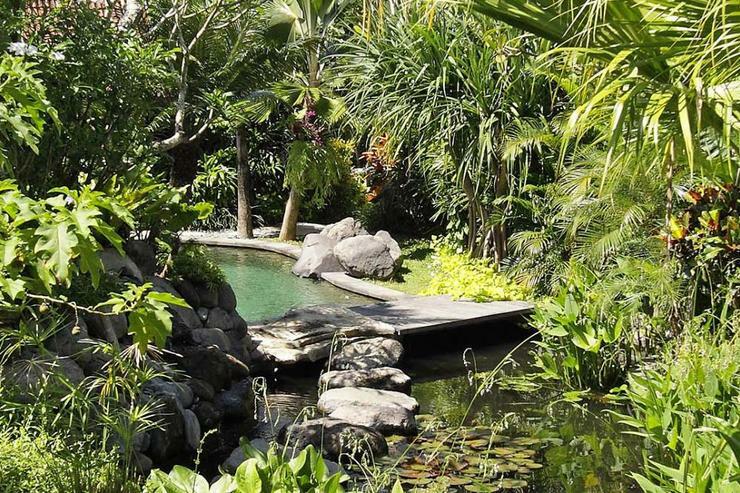 At the end of the water-garden is a lagoon-style plunge pool surrounded by a sun deck with two loungers and a cushion-covered bale. 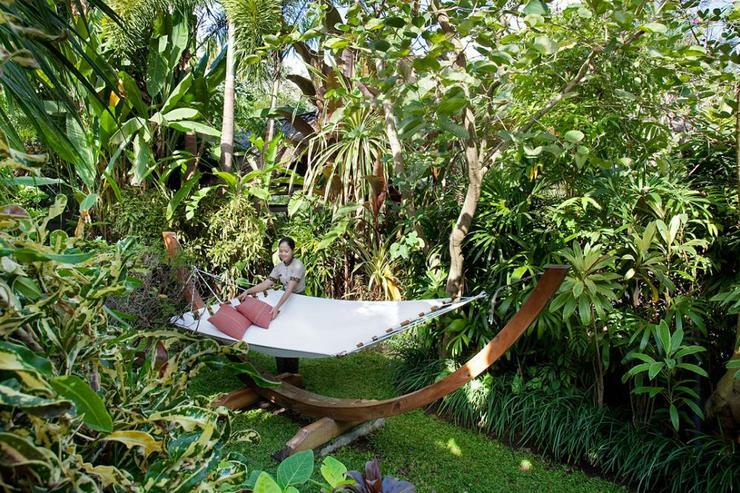 Tucked away in another corner of the garden is a double hammock surrounded by tropical blooms.